Contact us for your first FREE OF CHARGE home visit to discuss your ideas for your home. We will then provide you with a written offer of our architectural services, and once we receive your formal acceptance we will arrange to survey your home. 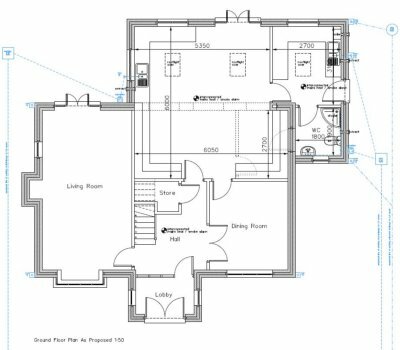 Having carried out a full measured survey, we will generate accurate CAD building plans of the existing and proposed design, and possibly suggest alternative solutions. We will email these or arrange a further visit to obtain your approval or make alterations. We can also provide an estimated build cost at this stage. We will then prepare the Planning and Building Regulations Applications for submission to the Local Authority. Fees are payable to the Local Authority at this stage and we can advise on these at the time. 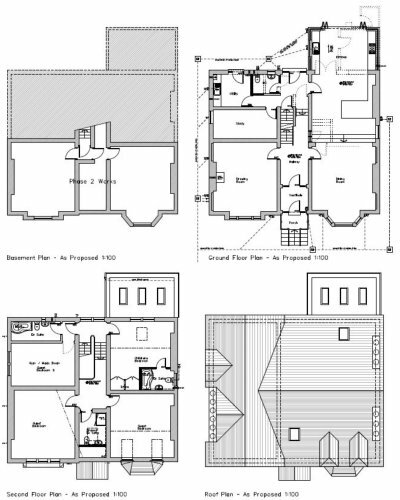 Not all projects will require Full Planning Approval and can be carried out under Permitted Development Rights. We can advise you on this or you can find more information on the Planning Portal website. The Planning process takes approximately eight weeks from the validation of the application, and Building Regulations approval usually five-six weeks. We will have regular contact with both departments throughout the approval process and keep you fully informed. We submit all of our applications digitally, saving on paper and printing costs. Should Building Control require any additional structural calculations we can arrange for a Structural Consultant to provide these for an additional fee. As Partners with Halton Borough Council Building Control we have a daily one to one working relationship with them which helps the application process run smoothly. Once the Approvals are received you can start work on your home. Should you opt for our Extended Service, we will prepare a Quotation Package with additional details including a written specification document. We will acquire prices from local builders and can provide references should you require. We will then negotiate with the lowest priced builder and arrange for them to start on site. We will monitor the project through to completion with weekly site visits keeping you fully informed of the progress at all times. We also prepare Contracts between yourself and your builder and provide certificates for payment to keep track of the costs. Ready to get in touch about your ideas? Just Contact Us and we can arrange our initial free visit. Kirk Smith, Managing Director, 5KC Limited. Home Architectural Ltd. is a CIAT Registered Practice based in Widnes, Cheshire. We offer a personal, residential architectural design service at affordable prices, across the North West. We work closely with you to develop the ideal architectural design for your home, whilst always considering your budget.